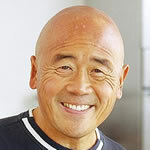 Ken Hom is the nation’s favourite Chinese chef and this is his best 100 stir-fry recipes. Healthy to recipes for entertaining friends, curries to salads – all made in the wok. Let your oven do the work as James shows how cooking slowly is the perfect way to draw out flavours and textures, enabling you to produce mouthwatering dishes with minimum effort. Ching transformed her health when she began eating clean. Embracing natural produce cooked simply. Fresh, vibrant flavours that make you feel bright, healthy and energised.